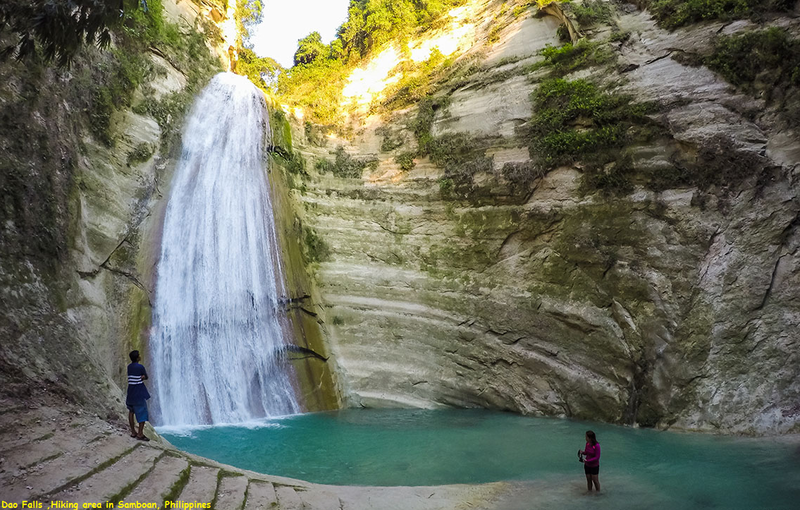 The town of Samboan in the south is home to a number of these waterfalls with the Dau or Dao Falls being the tallest towering at around 120 meters. While the falls itself is not as impressive as the Kawasan Falls, it is still a sight to behold. It actually resembles a dam with the water cascading down a rock wall. The catch basin itself also has a depth of around six feet while the current is not too strong, which makes it relatively safer to swim in. ​It is necessary to go on a thirty-minute hike before reaching the falls itself (but this would depend on your pace). You would have to pass through a bamboo bridge and ladder before reaching the place. Since it is quite isolated, there may be instances when you would have the place to yourself, especially if you go on a weekday. It is advisable, though, to get a guide to bring you to the falls. While the guides would not ask for any payment, it is recommended to give them a suitable amount for accompanying you to the falls.